Your luck has just changed for better! 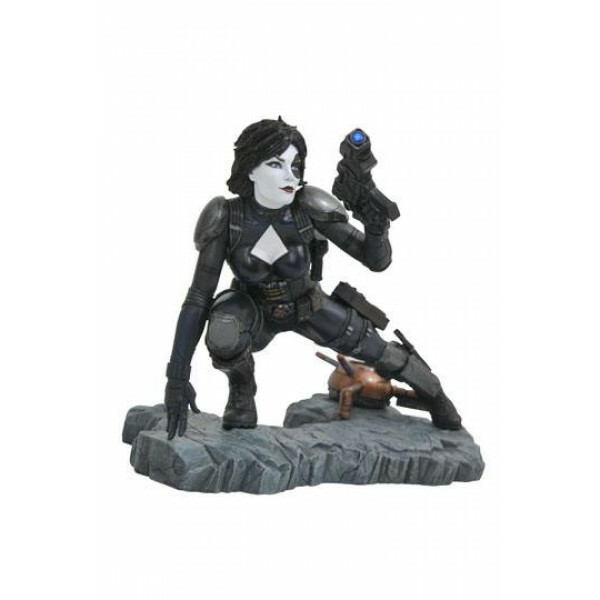 Domino, the luck-powered but also weapons-savvy mutant mercenary, has joined the Marvel Premier Collection with this new, 12-inch scale resin statue! 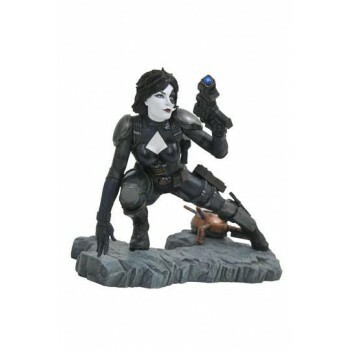 Depicting Domino in her classic comic-book appearance, crouching in an action pose, this statue can be displayed on its own or as part of a larger diorama with the collection's Deadpool and Cable statues. Limited to only 3,000 pieces, Domino comes packaged in a hand-numbered, full-color box and is packed with a certificate of authenticity. Hand-sculpted by Jean St. Jean!